De-escalating children’s behavior is a tough job. Whether the child is three or thirteen, once a tantrum starts, it’s hard to bring it to an end. 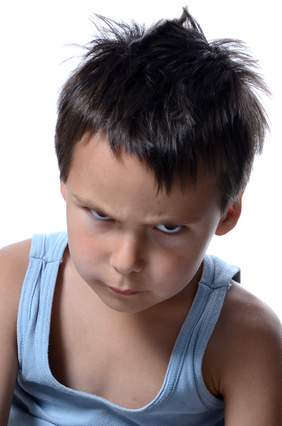 Bruce Perry, a noted expert on brain development explains that the trick to successful de-escalation is recognizing what part of the brain is activated when the tantrum begins. The brain develops in a bottom up movement that starts at the brain stem and matures sequentially through the midbrain, limbic system, and prefrontal cortex. Most behaviors requiring de-escalation occur when children experience some dysregulation such as heightened arousal, or strong emotional reactions to environmental triggers. As a result the lower regions of the brain (midbrain, limbic system) are activated, and the cortex “goes off line” so to speak. The intense reactions of the lower brain inhibit the prefrontal cortex’s ability to use cognition to restore homeostasis or process language. Assume the role of co-regulator. Engage the child in rhyming or tapping games where they can repeat your patterns back and forth until they calm down. Blow bubbles to regulate breathing. Encourage children to extend the length of their breaths by blowing bigger bubbles. As the cortex comes back on line, enhance the connection by taking a walk while talking about ways to avoid further dysregulation. Working with explosive children isn’t easy. Ask anyone who’s tried it. It’s like walking through a mine field. It’s not clear what might trigger a blast. A simple request or harmless comment by a peer may result in an unexpected outburst or a prolonged disruption of everyday activities and routines. These negative outcomes are discouraging. Preventing them requires knowing how to detect potential flare ups and short-circuiting negative behavior. Some children are more vulnerable to emotional flare ups at certain times of the day. Arrival time can be hard for children who are worried about siblings or parents left at home. Special subject classes like music or physical education may trigger negative behaviors in children with a limited tolerance for change or stimulation. 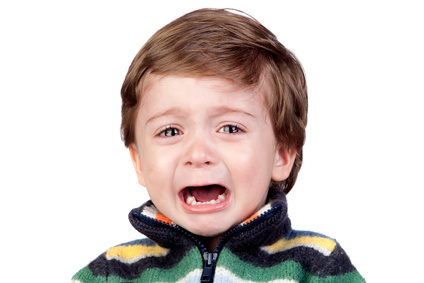 The fear associated with dismissal can cause some children to act out or display aggressive behavior. Check in with children often. Find out how they are feeling. Let them know that you are interested in them and that you value their opinions. Encourage them to tell you when they need a break. Use rating scales or polling devices to determine if stress levels are at or beyond their comfort zone. Explosive children love a good fight. Engaging an available adult in a power struggle is a great way for them to drain off angry and frustrating feelings. Refuse to cooperate. Agree with them instead. Acknowledge how badly they are feeling. Offer to help them find a better way of expressing it. Let them know you are on their side. Explosive behavior can assume a life of its own. It’s hard to stop being angry without losing face. It sometimes helps to direct children’s attention somewhere else – preferably onto high interest activities or favorite self-soothing ones. Revisit the behavior later on when things are back to normal. Help children make a plan to repair any damage their behavior may have caused. Agree on a strategy they can use to avoid future outbursts. A social autopsy is used to uncover the cause of a flare up. It involves adults and children working together. Children are asked to reconstruct the events leading up to the current problem. It’s the adult’s job to listen closely and identify any distortions or misunderstanding of what took place. Autopsies are best performed when children have calmed down. Repeated often enough they teach children to check for understanding before assuming the worst about a situation. And they provide adults with an inside look at the cognitive distortions that drive children’s explosive behaviors.